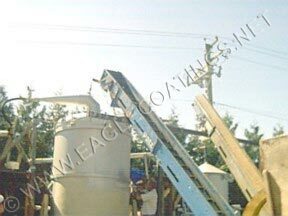 The process for distilling the cedar leaf oil involves the application of steam @ 100°C - 212°F at the bottom of the tank. The " cook " is done when the steam breaks through at the top. Uninsulated this required 5 - 6 hours depending on ambient temperature. 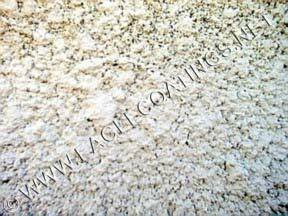 The time required was reduced by 2 hours after insulating with the HPC® COATING. 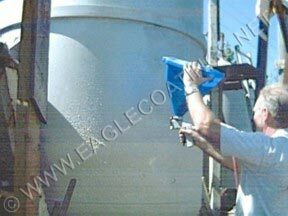 This new coating is the latest addition to our thermal protection package and is right out of research and development. HPC® COATING is designed specifically for straight backside conduction. 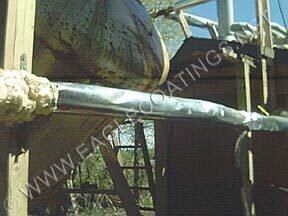 The tank was first coated with RUST GRIP ® to permanently stop the corrosion. 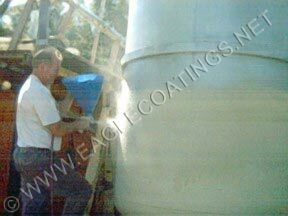 Surface temperature readings were taken prior to the application of the HPC® COATING and registered at a steady state of 100°C / 212°F. The ambient temperature on 08/28/03 at 12:09PM was 30°C / 86°F. 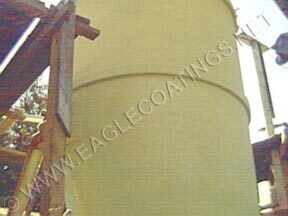 A primer coat of HPC® COATING was applied using a hopper gun and compressor at a thickness of approximately 50 mils (50/1000"). Initial surface temperature readings showed 70°C / 158°F. 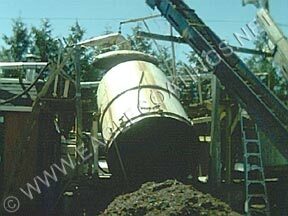 The temperature reduction will increase as the moisture evaporates. The Canadian Roofing Association testing shows that just 1 - 1 1/2% moisture content reduces the effective R value by at least 30%. Water is a conductor not a resistor. 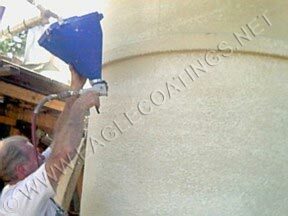 A final build coat was applied before the SUPERTHERM ® \ ENAMOGRIP ® topcoats with a final thickness of 250 mils ( 250/1000" or 1/4 of an inch ). The final readings showed a surface temperature reduction from 100°C / 212°F to 24.7°C / 76.46°F. ~ ENAMOGRIP ® on the front only to protect the SUPERTHERM ® where the boiling hot water is poured out.